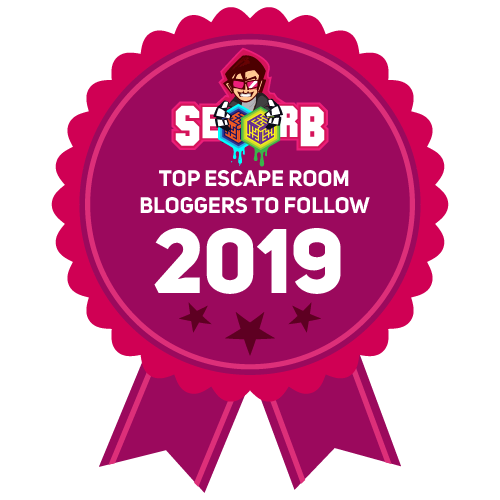 We just found out that we were named to a list of the Top 48 Escape Room Bloggers to Follow in 2019, being ranked #11 by an escape room marketing and seo (search engine optimization) company called SEO ORB. 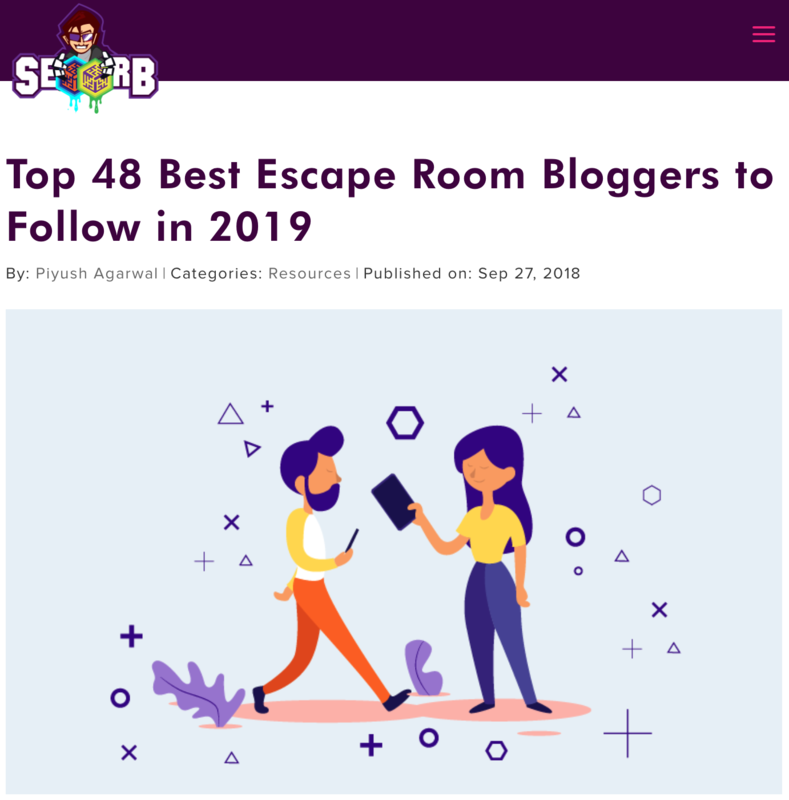 The top 48 were chosen from over 300 escape room blogging websites. Check out the write up on us! Obviously, we’re honored to have made the list, which features a number of other great blogging sites. We worked hard on establishing our grading rubric to ensure that we covered all rooms we do consistently and fairly, and spend hours trying to write our reviews to provide an accurate representation of our experience, while not giving away spoilers to ruin the experience for others. 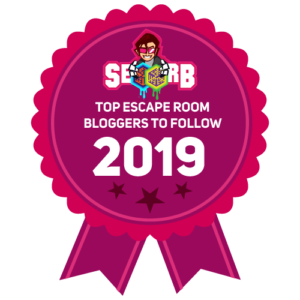 This blog started off as a hobby in February 2016… an experiment (if you will), to see if we could provide a service to the emerging escape room community and help grow the popularity of this type of event. 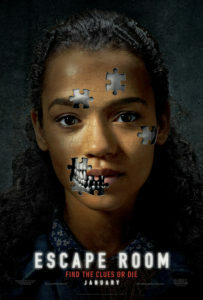 It was also a way for us to refine our way of thinking of what escape rooms should contain to give that overall great experience., and we continue to refine as we go. We ended 2018 with 4x the number of unique visitors and hits to the website than we had the previous year, so it’s encouraging and exciting to see how our little experiment is taking off, and we’re looking forward to what the future might bring. Thank you to all of our readers, whether you are new to the site, or are a frequent visitor. So, this review is based on Box 2 of a series that explores the continuing saga of your childhood friend, James, who is on the run after being accused of the murder of his wife, the heiress of a powerful family, during their honeymoon. James has been reaching out to you through a series of boxes sent to your address, which evolves the mystery. This is a pretty cool premise because while this isn’t an actual escape room, the mere method of tying in the delivery of the boxes to you starts the immersive experience. We liked the second box as much as the first one. It required a lot of reading (like the first) and solving a lot of different clues using items in the box as well as your phones. Watch our video review and comment on this post. Are you playing this subscription? What do you think? Are there games, locations or rooms you’d like us to scout out? So, we are expanding our reviews to include games, and we decided to do a video overview of our experience playing box 1 of the On the Run series from Dispatch at Breakout Games. Watch our video review and comment on this post. Are you playing this subscription? What do you think? Also, do you like the video review, or do you prefer our standard format with the different sections rated by both Jason and Mike? Play if… you need a new and unique activity for Board Game Night. Avoid if… you aren’t good with arts and crafts. Description (from the company website): Zombies are everywhere! And they’re hungry … hungry for … PIZZA! Trapped in an apartment on the 28th floor, can you rescue the pizza, get the gun, unlock the door, and defeat the zombies? But how? By solving lots and lots of interesting, fun puzzles! Welcome to Escape Room Z, an hour-long puzzling adventure for you and your crew. Staging Area: Your room should be a comfortable size for however many people are in your party to get up and move around. Note: The ERG were given the opportunity to try out this game for free, with the understanding that we would continue to provide an honest review and follow the same process we’ve used on all of our other ratings. Description of the room: We used our Community Room in our condo building (Jason and I live in the same building, but you’d know that already if you watched the pre-room video). We had 6 people, and that was a good size (although maybe our room was a bit too large for the number of pieces of the game). Understanding of the Mission: Essentially, save the pizza that is baking in an oven on the 28th floor from a horde of hungry zombies. 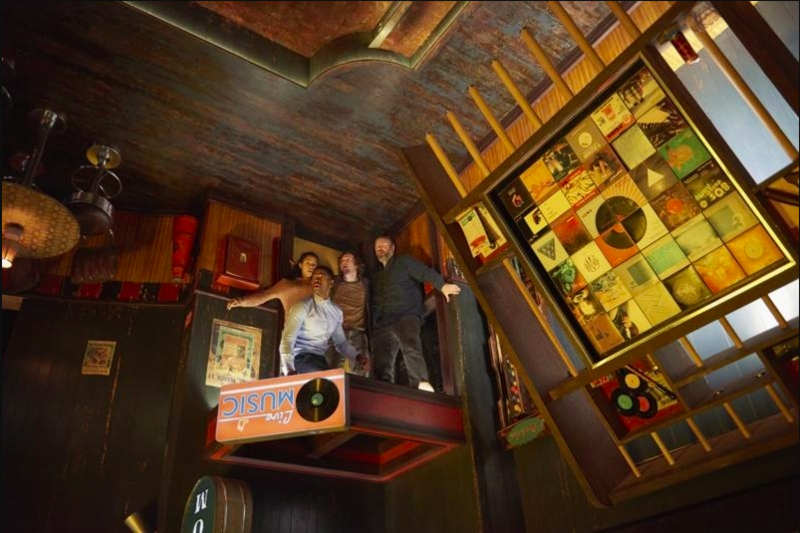 Our Suggested Party Size: 6 is probably good if people have done games like this before or are regular “escapees” (escape room enthusiasts/addicts). 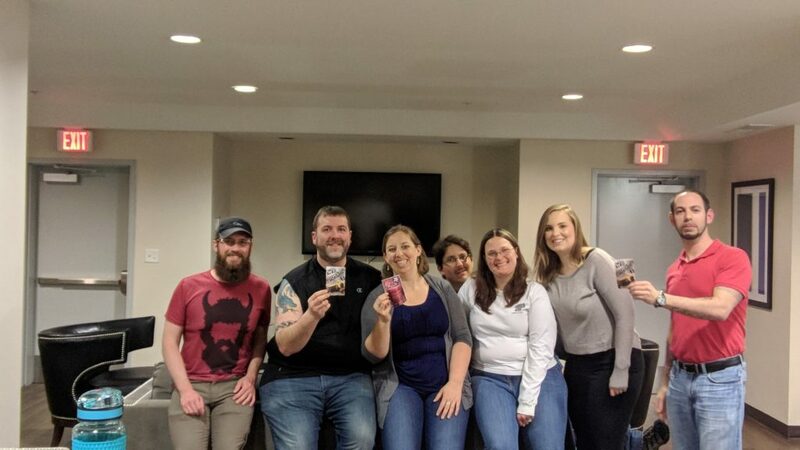 The ERG and their Disturbed Friends (Eric, Mike, Heather, Corey, Brittany, Katheryn, and Jason) turned their ordinary game night into an “escape the zombies” night! It’s your own location. Serve whatever snacks and drinks you want… maybe go with pizza to fit the theme?